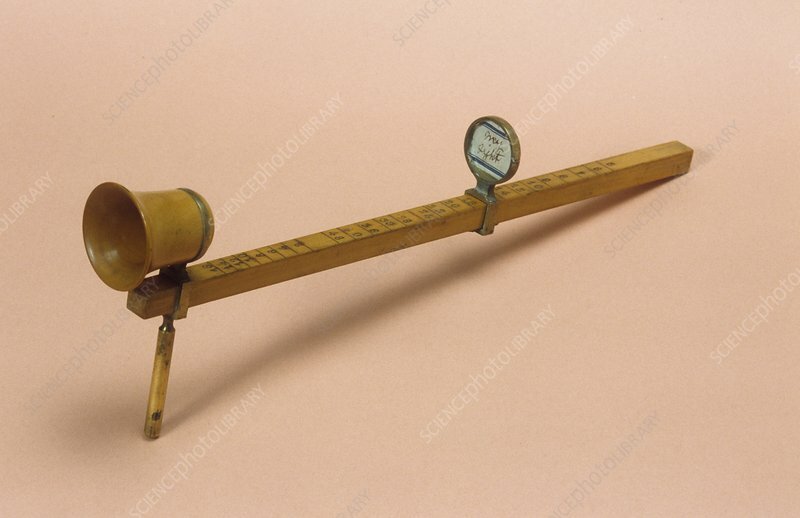 Wollaston type optometer dating from 1860, England. An optometer is a device used to assess the range and power of vision. The earliest reference to optometry was by English friar, Roger Bacon (1214-1292) who in 1263 described the use of lenses for those with weak eyes. By the 1900s optometry had become an established profession. This device is made from boxwood and brass.